It was a hard night, Piage work up sick and from 4am onwards Di and Sheridan didn’t get much sleep. It seemed that Paige had rotavirus, something the doctor later confirmed. 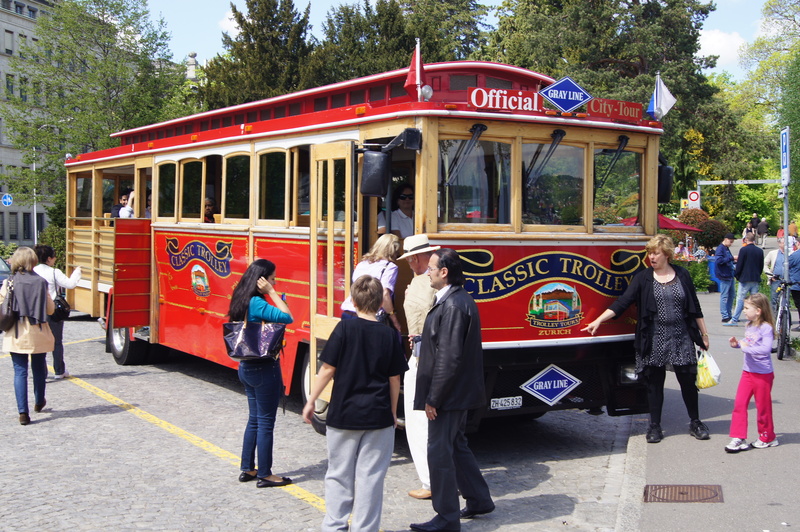 We had originally planned to go to visit Ballenberg but last minute plan changes were made and the Stevenson family caught the train to Zurich to have a look around. Zurich is only 30 mins away but the train tickets for Di, Chris and Matthew (Sophie is free) cost $100AUD. It seems railways are not subsidised in Switzerland. 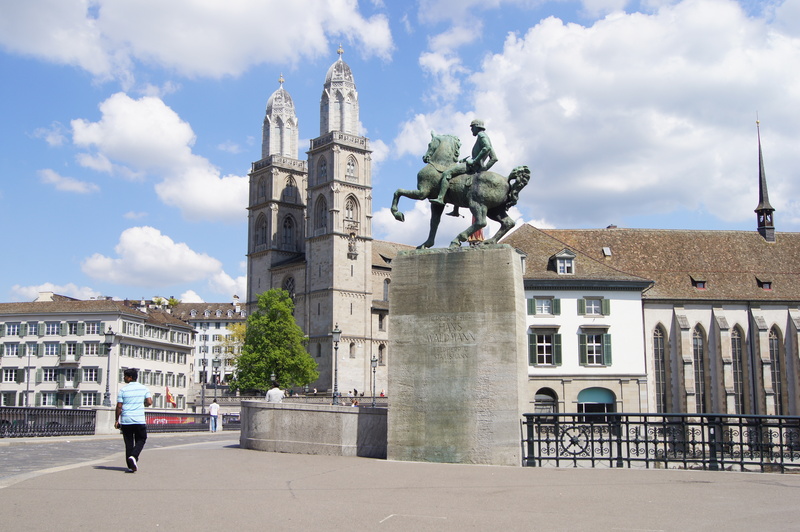 When we got to Zurich we went to the tourist information bureau and then wandered up Bahnhofstrasse aiming for the toy museum. On the way to the toy museum we passed a really good toy shop and the kids spent a good deal of time in there having a browse. After the toy shop we found the toy museum which was not open until 2pm. It was only 1pm by this stage so we changed plans once again and decided to have some lunch and then go on a bus tour of the city for a couple of hours. This lion statue was on a breakwater next to the yacht club. This is a photo of our tour bus. It had headphones which played the tour information in 8 different languages. 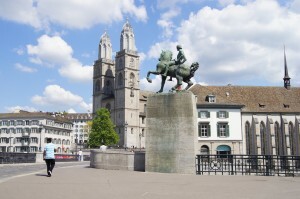 Hans Waldmann (1435 – 6 April 1489) was mayor of Zurich and Swiss military leader. The son of a peasant in Zug, he married well and became Squire of Dubelstein. 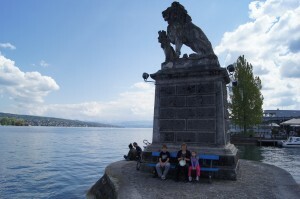 Approx 25% of Zurich population are expats. The population of Zurich is approximately 330K. Most homes are owned by insurance companies, cooperatives or very wealthy people on 30% of people in Zurich own their own home. After a couple of hours on the tour bus Sophie was asleep on Di’s knees and Matthew had stopped listening so we headed for some ice cream at the train station and then back to Sheridan’s for another superb meal. Fantastic photos Guys it looks and sound so exciting but also know it can be hard work at times. Keep enjoying. Tony and I remember the dog poo from Paris from many years ago.